The shipment of the product is good, I don't see any signs of damage or dents that I was able to assemble and use the fan right away. The fan is well protected, there are Styrofoam that keeps the tower fan protected during the shipping. 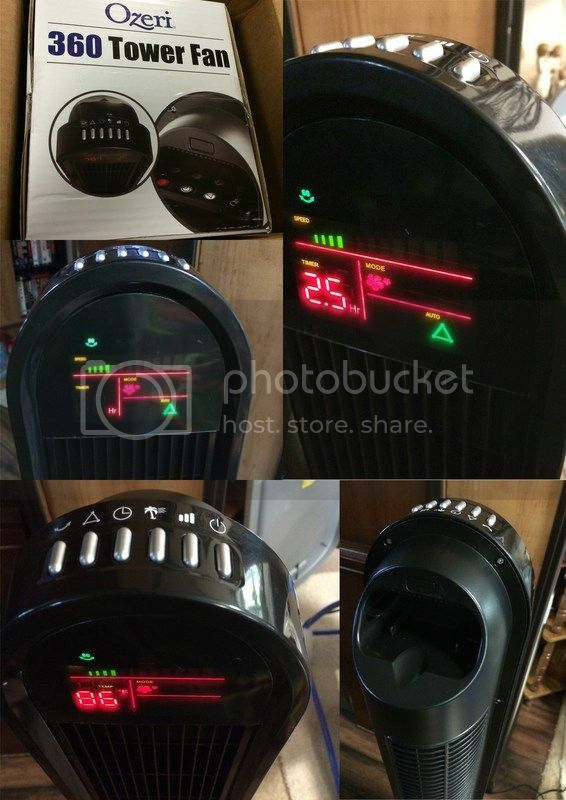 The temperature when I received the product is way high and I was thankful that I have another fan to review, which is also perfect timing because it's humid out and I want to try this fan as soon as possible. No tools needed to assemble/connect the base part. No star screw tool needed, all you need to have is a coin that would tighten the 3 screws that would hold/connect the base to the tower. After I screwed and tightened the base of the tower fan, I have noticed that the fan stands a little bit slant. It's not perfectly straight, so I moved it to another leveled floor to make sure that where I put the fan doesn't have an unlevel surface. However, it is still the same. It also wobbles, so I have my husband double check the fan to ensure that I did everything right. Update: Husband checked the fan and I did a pretty good job. The wobbly thing that I have notice was because it is an oscillating fan. I read the manual to make sure that before I install and turn the fan on, I would know exactly what I am doing. In which it is very simple and a user friendly fan. It's the same as the other fan, except for its awesome features. 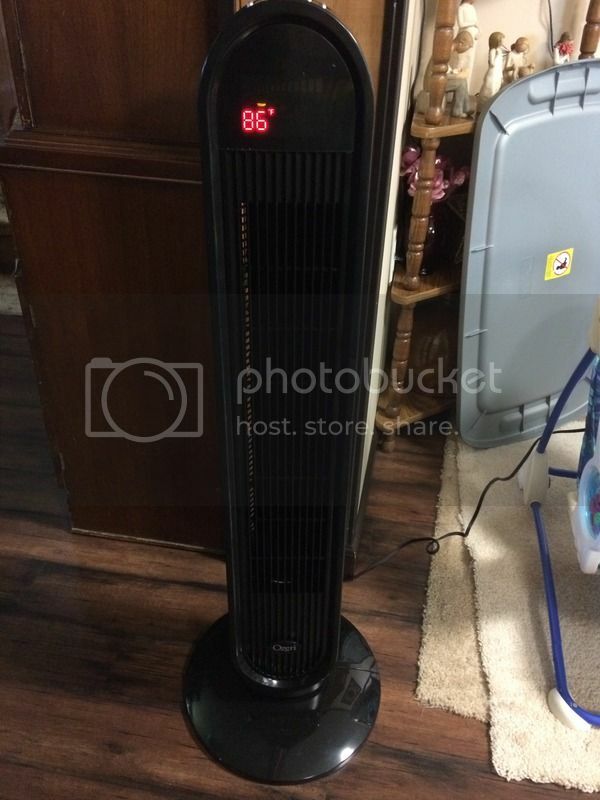 I like the 360 degree rotation, I've never had one fan that would do a 360 rotation so this is pretty cool to have. Just put it in the center and all areas will be cool. I like the different and new [for me] features it has on this fan. Also comes with a remote and battery so I don't need to move from my seat to change the settings. I like the oscillation degrees because I can choose between 60, 90, 120 and 360 air circulation. The speed of the fan is also great, low, medium and the fast. The temperature auto lock is pretty awesome. All I did was to engage the auto lock and whenever the fan detects that the degree drops from the temperature I set, the fan will automatically turn off. It also has a night mode display, I can see what I'm doing in the dark whenever I need to turn the fan on or to adjust the settings. Lightweight tower fan, it's not too tall and very handy too. Very easy to use and their safety precaution is just great. I like how the fan has a polarized plug and equipped with a fuse to prevent from any electrical issue. So far, I've been using the fan for a week now and I am happy and satisfied about the features as well as the fan itself. If you are interested, you may purchase it HERE.